Mind Body Spirit Care (Tampa) - Book Appointment Online! Our unique patient care approach emphasizes a cooperative relationship between the doctor and the patient that encourages patient autonomy and values the needs and insights of both parties. This approach to care minimizes rush evaluations and follow-up, and emphasizes listening to patient medical concerns in the context of their whole life environment including social, family, work, mental, and spiritual. By shifting our focus to the unique needs and nature of a person rather than on the illness they have, we can help promote self-healing and enhance well-being. At MindBodySpirit Care, we naturally take a holistic, and integrative approach that views you as a whole person, while providing you with a cost effective individualized care plan to create optimal health, balance and joy in your life. With the help of our staff, and with the knowledge you’ll gain, our goal is to see you maintain that youthful balance while striving to grow and create conscious choices for support of self and the environment for the rest of your life. 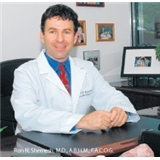 Dr. Shemesh is the BEST doctor I have seen in a very long time! He was very thorough, took his time addressing my needs and concerns, and is very interested in my health being top-notch. And his support staff was great too! I would definitely recommend this office. I went for a well woman exam and found Dr. Golding to be a very caring and involved professional. She listened to my concerns and helped to educate me on them. Very happy to have wound up in her office.